Pauline Betty Soroka was born in Rose Valley on March 7, 1931, to parents Mike and Maria Soroka. She had three siblings: Anne, Joe and Sophie. Her father was the C.P.R. Section Foreman in Rose Valley from 1924 to 1945.After graduating from high school, Pauline went on to pursue a nursing career at Regina Grey Nuns’ Hospital, graduating in 1953. She nursed in Regina, Winnipeg, Calgary, Vancouver and Edmonton, where she retired.She was raised in Rose Valley, so the town meant a lot to her. She tried to keep up with the people and events going on, attending every reunion. The Wadena News was very important to her; she would enquire about new names that appeared, who they were and what they did. She made several trips a year to visit her sister Sophie Anderson on the farm at Rose Valley and made a yearly trip to Atikokan, Ontario, to visit her sister Anne Spilchuk and family until Anne passed away in 2013. She was an avid crossword puzzler and enjoyed playing scrabble.She was always an extremely generous person, but especially so at Christmas time. She would ask her nieces and nephews, (their parents too) and later, great-nieces and -nephews to send her their wish list, and she would make every effort to fill them. Someone called her “Auntie-Claus”! She would send the gifts to the Ontario bunch. Much later, money was given in place of gifts. There had to be a lot of love behind that!On Monday, September 10, Pauline drove to the Rose Valley farm intending to go to the 65th RGN Nurses’ reunion in Regina on the week-end. On the day she arrived, she had a fall and was transported by ambulance to Kelvington Hospital. 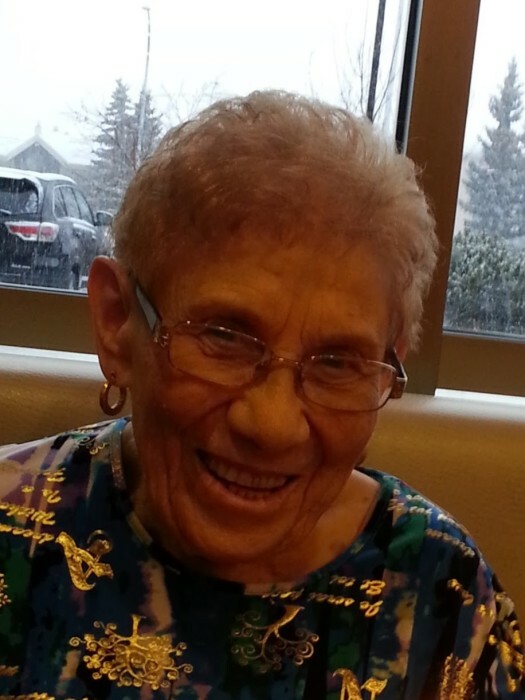 Early next morning she suffered a heart attack and was air-lifted by STARS Ambulance to Royal University Hospital in Saskatoon, where she passed away on Sunday at age 87.Pauline has left us with so many memories, we smile when we think of her. She had a good sense of humour and certain mannerisms that made us laugh. She was also a very private person, never said much about herself but was always interested in the welfare of others in the family. She loved to attend family gatherings and was always there with her camera.She was predeceased by her parents, Mike and Maria; brother Joe; sister Anne Spilchuk; brother-in-law Otto Anderson; step-father Nick Dziadyk; nephew Gary Spilchuk; great-niece Allyson Spilchuk; and cousin-in-law Fred Ellis.She leaves behind her sister Sophie; nine nieces and nephews; 30 great-nieces and -nephews; 33 great, great-nieces and -nephews; and cousins, Marie Bohachewski and Annette Ellis.